Microorganic seaweeds are an unique cosmetic which has no counterparts in the market. 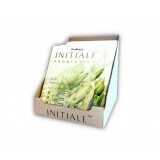 It contains only two ingredients which are extraordinarily valuable: seaweeds (Ascophyllum nodosum) and ProBio Powder. Microorganic seaweeds™ are an unique cosmetic which has no counterparts in the market. 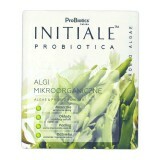 It contains only two ingredients which are extraordinarily valuable: seaweeds (Ascophyllum nodosum) and ProBio Powder.